Pope Air Force Base is a United States Air Force base is located on the northern edge of the city of Fayetteville and adjacent to Fort Bragg. Fort Bragg and Pope Air Force Base comprise one of the world's largest military installations. It is named after early military aviator First Lieutenant Harley Halbert Pope. The base is the home of the United States Air Force Air Mobility Command 43d Airlift Wing. Pope Air Force Base has played a leading role in the development of U.S. tactics and air-power throughout history. Missions at Pope range from providing airlift and close air support to American armed forces, to humanitarian missions flown all over the world. Pope AFB particularly provides air transportation for the US Army's 82nd Airborne Division and XVIII Airborne Corps which are based at neighboring Fort Bragg, North Carolina. Pope AFB is the site of the biennial International Air Mobility Rodeo competition. Volant Rodeo is Air Mobility Command's (AMC) premier air mobility competition. In 2000, more than 80 aircraft representing over 100 teams from 17 countries, along with 3,500 competitors, observers, umpires, and support people showed up to do what they do best. The first Rodeo was held at Pope AFB in 1962 and was designed as a combat skills competition to develop and improve techniques and procedures while enhancing air mobility operations, and promoting "esprit de corps." Rodeo has evolved to include teams from all over the world, competing in areas including airdrop, aerial refueling, aircraft navigation, special tactics, short-field landings, maintenance, cargo loading, engine running on/offloads, aeromedical evacuations, and security forces operations. Pope AFB NC is located on the northern edge of the city of Fayetteville and adjacent to Fort Bragg, NC. It is approximately sixty miles south-southwest of Raleigh and one hundred miles east of Charlotte. If you are arriving by airplane, bus train or any commercial transportation, there will be an information sign posted in the terminals. If you arrive at the Fayetteville Airport late at night, there is generally a taxi available for a $20 fee to Pope. Keep your receipt if you use a taxi. The best idea is to inform your sponsor or unit orderly room to have someone to pick you up at the airport. The phone number of your orderly room is in the Major Unit Listing section of this SITES file. If you are driving, the roads are well marked with directions to Fort Bragg and Pope AFB. 1. I-95 Going North - Take the business loop and turn onto Owen Drive. This will turn into an expressway known as the All American Freeway. Take the Reilly Rd/Pope AFB exit and follow Reilly Rd up to the corner of Reilly and Butner Rd. At the gate, ask the Security Policeman for directions to the Base Billeting Office. 2. I-95 Going South - Take the I-95 business loop/301 exit and turn right onto Grove Street. Grove will turn into Rowan Street. Continue on Rowan until you come to Bragg Blvd. Take a right on Bragg Blvd continuing until you reach Butner Drive. Turn left and continue on Butner until you reach Armistead. Turn right on Armistead and ask the Security Policeman for directions to the Base Temporary Lodging Office if it's during duty hours. If it is after duty hours, continue on Butner until you come to Reilly Road, turn right on Reilly Road and this will be the Reilly Road gate. Ask the Security Policeman for directions to the Base Temporary Lodging Office. 3. Highways 24, 87, 210. Continue on 24 to the south edge of Spring Lake. Turn right on Manchester Road, following the road signs until you reach the Manchester gate. Ask the Security Policeman for directions to the Base Billeting Office. Pope Air Force Base is home to the 43rd Airlift Wing and two tenant units: the 23rd Fighter Group and the 18th Air Support Operations Group. The population of Pope AFB is approximately 4,700 military personnel and 1,150 dependents. The civilian workforce includes approximately 315 General Schedule (GS) and Wage Grade (WG), 190 Non-Appropriated Fund (NAF), and 150 contractor personnel. As there is a great demand for lodging at Pope AFB, it would benefit any newcomer to contact the Lodging Office to make reservations as soon as they know their arrival date. Inbound personnel have a priority for reservations, Due to ongoing renovations at billeting, space is limited. All rooms are non-smoking. Official duty travelers and PCS personnel (in/out) can make reservations at any time. PCS in/out families are authorized to stay 30 days subject to space being available for that time period. Space Available reservations are taken 24 hours in advance. Pets are not allowed in Pope's Lodging facilities. If you have pets, have your sponsor provide you with kenneling information and reservations. Billoting will take advance reservations for temporary housing of families. Availability Transient Lodging Facilities (TLFs) includes 120 Visiting Officer Quarters (VOQs,) 38 Visiting Airmen's Quarters (VAQs), and 8 Distinguished Visitor's Quarters (DVQs). 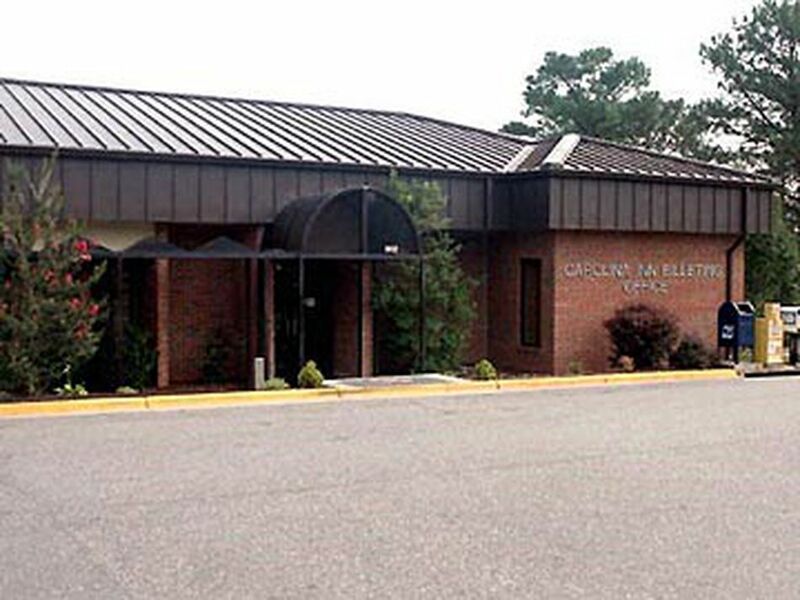 The Carolina Inn's address is: Fayetteville, NC 28308-5000 Phone: (910) 394-4131 DSN: 424-4131 . For Reservations Phone: (910) 394-4131 DSN: 424-4131. Pope Air Force Base housing is under the control of Picerne Military Housing. To contact them, please call (910) 764-4500. A total of 2,562 homes will be built and a total of 1,993 homes will be renovated over the next 9 years. Picerne Military Housing will manage and maintain the property for the next 50 years. Active duty service members, with current Orders to Fort Bragg / Pope AFB, are eligible to apply for on-post housing within ninety (90) days of the report date specified on the service members Orders. Upon submitting the required documents to the LRC, the staff will review your supporting documents, determine your housing and bedroom eligibility and place you on the waitlist that you have selected,based on your current rank and bedroom eligibility. The LRC will forward confirmation of wait list placement to the email address on file providing you with the name and contact information of the Picerne Neighborhood staff who will notify you when a home is available for your family. The Pope Air Force Base Child Development Center provides quality care for children ages 6 weeks to 5 years of age. . Each room is divided into interest centers which are designed to provide a variety of learning opportunities which include manipulative play, art, music, dramatic play, computers and more, occasional field trips and cooking experiences according to the age of the children. Their program is designed around child-directed, child initiated and teacher directed play. They offer full-time care, hourly drop-in care on a space-available basis, and Part Day Preschool programs. The Child Development Center partners with the Air Force Aid Society to offer Give Parents a Break each month to provide parents with a deployed partner, new child, or special circumstance a free "break" for a few hours. Family Child Care provides alternatives to center-based child care for children ages 2 weeks – 14 years in both on-base housing and civilian communities. For more information call Family Child Care at (910)394.2382. The Pope AFB Youth Center has a gymnasium, playground, classrooms, teen room, preteen room, a snack bar and an outdoor pavilion area. Classes include dance and karate, and clubs include the Teen Keystone Club and the Preteen Torch Club. The Youth Center offers several different programs: a Sports Program, a School Age Program and a Social Recreation Program. Children aged 5 - 12 learn responsibility through accountability for themselves and pet caretaking. When arriving at Pope it is critical to find a home as fast as possible. If staying on-base at the Carolina Inn, because you are on-base, on government property, children cannot be enrolled in local schools. If you will not receive on-base housing within 90 days, they cannot be enrolled in the DODEA run Pope Elementary School. Basically, they are without a school. If you are in temporary lodging off-base you may enroll your child(ren) in the school whose area serves the hotel. Once you find a house you need present the school that serves your new area with a rental agreement or purchase agreement form and your child can be enrolled. Call the Airman and Family Readiness Center at Pope AFB if you have questions regarding this policy. The Fort Bragg School System operates one elementary school at Pope, as well as one middle school, one junior high school and six additional elementary schools on Fort Bragg. Both Cumberland County and Fort Bragg schools are fully accredited by the State of North Carolina and the Southern Association of Schools and Colleges. Pope Elementary School - Located on Pope AFB, adjacent to base housing, it serves children from grades kindergarten to fourth. Irwin Middle School - Located on Fort Bragg, it serves children in grades five and six. Students will be bused from Pope AFB. Albritton Junior High School - Located on Fort Bragg, it serves children from grades seven to nine. Students will be bused from Pope AFB. E. E. Smith High School - Children in grades ten to twelve and living in base housing will be bused to CumberlandCounty Schools E. E. Smith High School. There are a great number of private schools in the Fayetteville area. Most have a church affiliation, some are secular. Tuition rates vary greatly. If you make inquiries to private schools, be sure to find out if bus transportation is available and the cost. Ask about accreditation. A wide range of adult education courses, to include undergraduate and graduate, are available through the education centers at Pope and Fort Bragg. In addition, several colleges and universities in the area offer both undergraduate and graduate degree programs. On Pope, Fayetteville Technical Community College, Central Texas College, Campbell University and the Community College of the Air Force offer undergraduate programs. Schools that conduct graduate programs on base include Webster University and Embry-Riddle Aeronautical University. Other local area schools that conduct regionally accredited two-year programs and/or graduate and undergraduate programs include Methodist College and Fayetteville State University. Professional counselors are available for assistance at the Pope Education Center. For more information, contact the Pope Education Office at 384 Maynard St., Suite A, Pope AFB, N.C. 28308-2373; Telephone (910) 394-4692 or DSN 424-4692; FAX: (910) 394-1138 or DSN 424-1138. The 43d Medical Group at Fort Polk AFB serves by maximizing force health protection, optimizing delivery of quality care, maintaining an environment that encourages personal and professional excellence, and fostering a population-based prevention-focused culture. The Medical Group is committed to quality Air Force initiatives. As a patient, you are an integral part of this process. If you have any problems or suggestions that will enhance the clinic, please contact Beneficiary Services at (919) 3941229 or stop by the office and fill out a Patient Assistance Worksheet. The 43d Medical Group is located at 383 Maynard Street, across from the Military Personnel Flight. Medical care is provided through Primary Care and Flight Medicine. Emergency and specialty care are provided through the Womack Army Medical Center on Fort Bragg or from civilian medical treatment facilities. Patient's Bill of Rights and Responsibilities -- All persons obtaining care in the 43d Medical Group medical/dental treatment facility are entitled to certain rights and also subject to certain responsibilities. The observance of these rights and responsibilities by both patients and facility personnel is vital to ensuring that patient care and services are delivered in an appropriate and efficient manner.